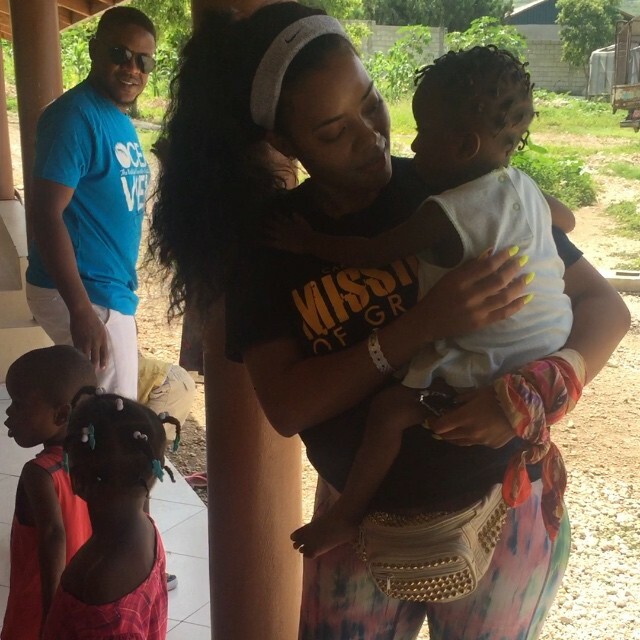 Angela Simmons–Rev Run’s daughter–nixed R&R for public service while vacationing in Haiti this week. In between getting outdoor massages, modeling local designers two-piece creations and hiking, Angie made time to visit Mission of Grace orphanage. Twice. And was instantly attached to a little boy named Michael that didn’t want to leave her hip. Awwww. Angie also visited Mission of Hope that reportedly feeds 90,000 Haitian kids daily. “I felt really connected to the children. They actually remembered me from the day before. But I was happy I could come and share my love again,” Angela writes on Instagram, where she’s documenting her trip. Angela Simmons is our woman crush for nurturing needy children and spotlighting an often overlooked place in the world. Even when it’s newsworthy. Angie isn’t the only one that loves the kids. 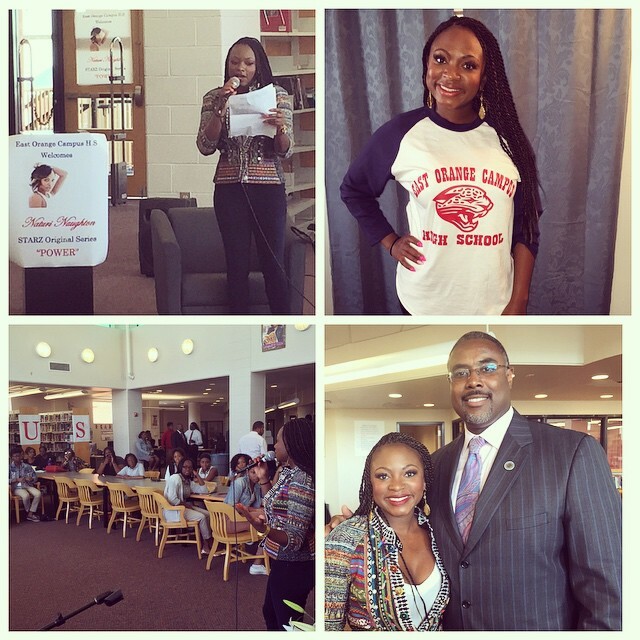 ‘Power’ star Naturi Naughton paid a visit to her alma mater: East Orange Campus High School to share with the kiddies how to make power moves. Just don’t go Tasha and Ghost’s route, kids. Just say no.